What is IoT and how important is understanding IoT to our futures? 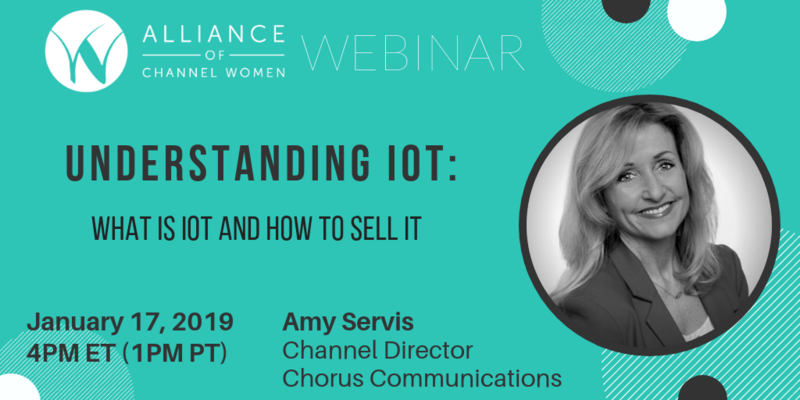 This webinar – on Thursday, January 17th, at 4pm ET/1pm PT – is open to all #WomenInTech, so please share this email with your friends and encourage them to become a part of the Alliance of Channel Women community.Hope to see you at this important meeting. Copyright © 2018 Alliance of Channel Women, All rights reserved.